It is album time again at Nang Towers. We are in an 80s mood (to be honest this is common at Nang). Russian based Hot Hot Hawk are here to quench our twinkling-synth and power-chord thirst that we have. 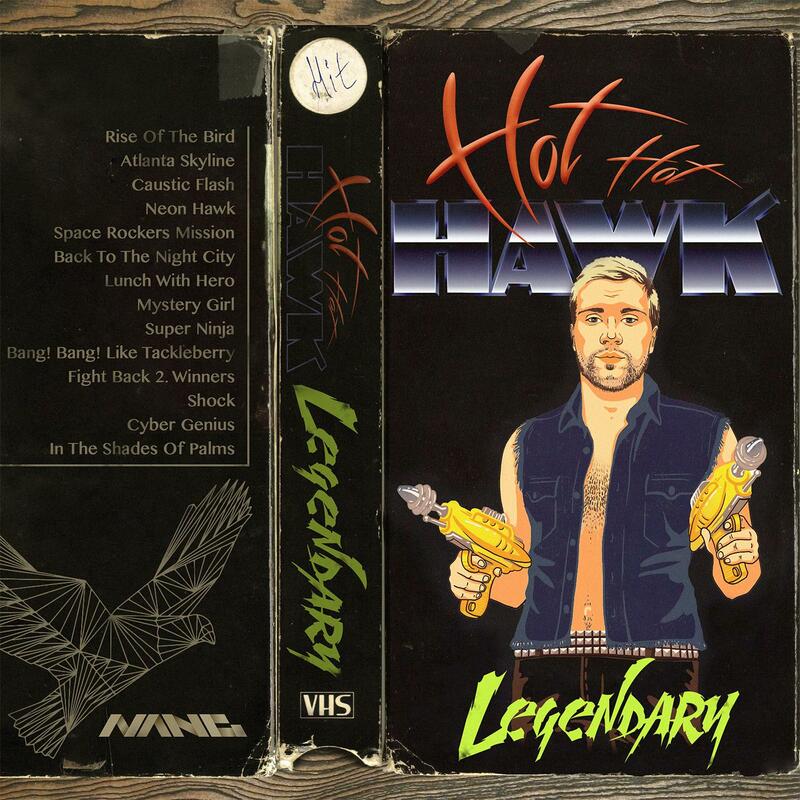 The St. Petersburg based Hot Hot Hawk probably love the 80s just as a much as we do. The West Russian collection sure know how to capture the sound of an era. With a couple of EPs and singles on our sister label No Static under their belt it was just a natural progression to work things up to album time. The HHH guys (as we like to shorten their name) make multi-layered, instantly accessible music. Highlights from the album include "Mystery Girl", a slice of 80's overdriven TV synth pop. "Atlanta Skyline" which features a foundation of galloping synth basslines, darting keys and distorted guitar lines. "Lunch With Hero" carries on in the 80's vein but this time with a weave of keyboard tapestries. "Neon Hero" It's a chunky-synth sound fueled TV theme from 1985. "Caustic Flash" is full of rolling bass guitar, picky funk guitar and big bold keyboard stabs. There is one soulful slow jam for the last track. "In The Shades Of Palms" is horizontal dancing groove taking the 80 synth passion to the max.